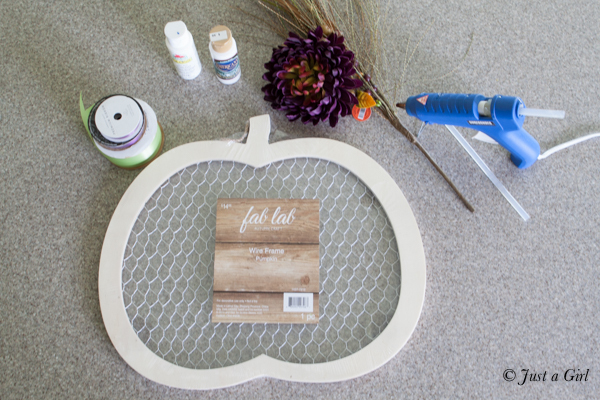 A few weeks ago, I posted this little Halloween/fall project for the girls at Eighteen 25 (love them) and thought you may want to see it as well! Cute, simple, inexpensive. I’ll take it! What makes it so fun is that you can easily transition between Halloween and fall simply by adding or removing the spookiness of it (ie. the spiders!). 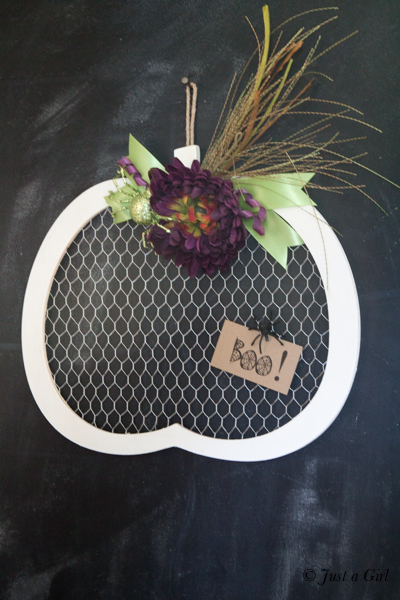 I saw this cute pumpkin memo board thingy? at JoAnn’s, and I knew I wanted to use it for my Halloween project! I actually liked the light wood, so I just brushed on some white paint. Well, I used a piece of paper towel and rubbed it on there. Remember when I said this project was fancy? 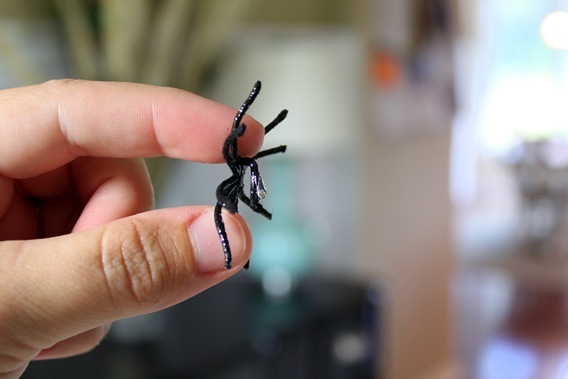 In bad blogging form, I didn’t take a picture of hot gluing the little spiders to mini clothes pins. Oops. Sorry. 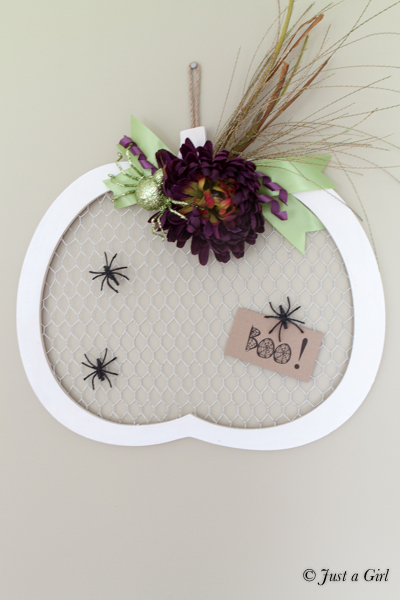 It was the same spiders I used on my Halloween clock, so imagine it looking just like the step below. Put it all together, and what d’ya get? 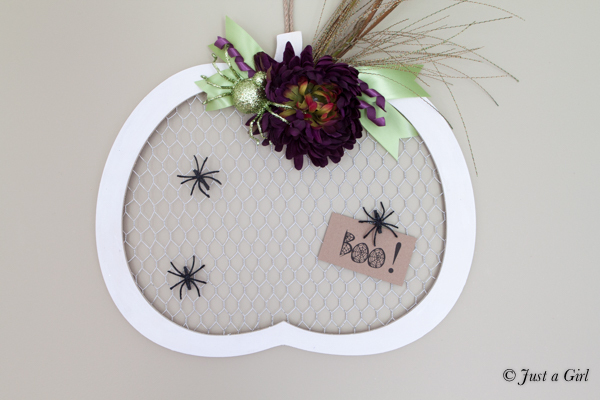 One cute, spooky, creepy, sophisticated, Halloweeny way of displaying notes and pictures. It was super inexpensive and super easy to make–talk about a great gift idea, eh?